In a bowl sift together flour, baking powder, sugar, salt and baking soda. Stir in orange rind. Cut in butter until mixture resembles breadcrumbs. Stir in enough buttermilk until dough clings together. Place on a floured board and knead together 5 or 6 times. Roll or pat out dough into an 8-inch (20-cm) round or individual shortcakes. Place on a cookie sheet, brush with buttermilk and sprinkle over sugar. Bake for 15 to 20 minutes or until golden brown. Cool on cookie sheet then split in two, horizontally. In a bowl, pour liqueur over berries and leave to marinate for 30 minutes. Whisk cream with sugar until it holds its shape. Fold into yoghurt. Top bottom layer with one half of berries and half of yoghurt cream mixture. 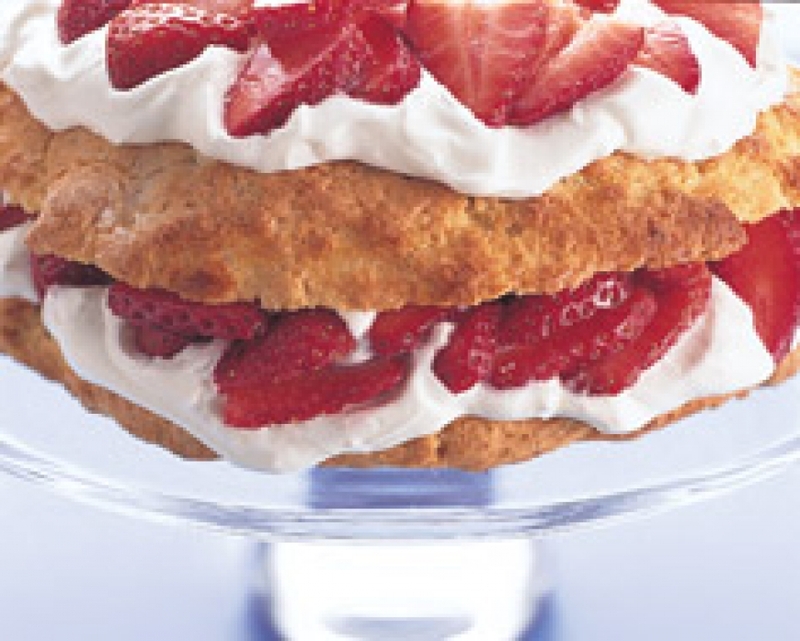 Top with second half of shortcake. Pile remaining fruit and yoghurt cream on top or serve beside it. For people who want to eat low fat, use this yoghurt as a butter on toast. Line a sieve with cheesecloth. Pour in yoghurt and let drain for 2 hours. Discard liquid and refrigerate the thick yoghurt.